This one of-a-kind artwork is 18 x 24″ and is custom framed to 22 x 28″ in size. It was created for the Rochester Advertising’s event titled RAF, On The Side at the Rochester Contemporary Art Center. 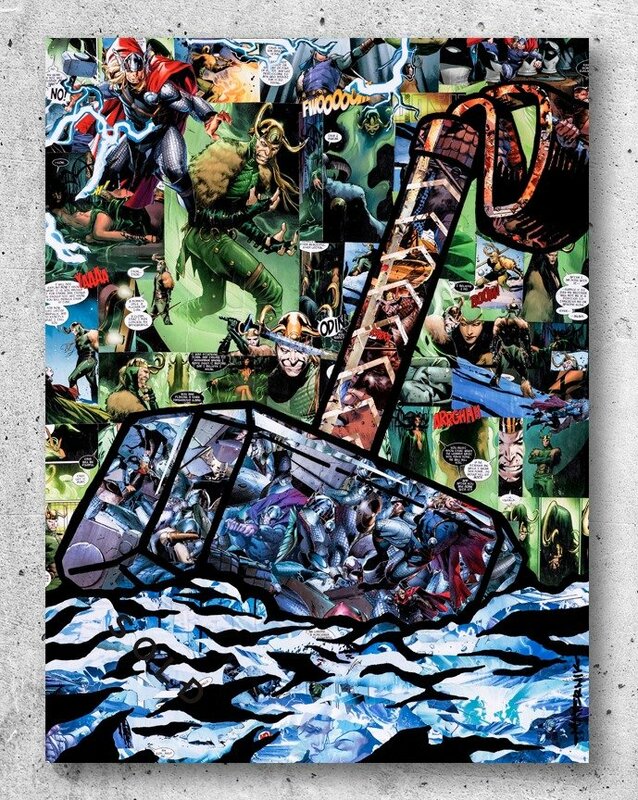 The work titled “Worthy” features Thor’s hammer Mjölnir, and is comprised entirely of only two consecutive comics in the Thor 3rd series. Issues #12 and #600, circa 2007. If you are interested in this original work please contact me via email. 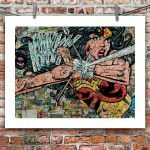 Original artwork is 18″ x 24″ Mod Podge on Plywood. Category: Print. 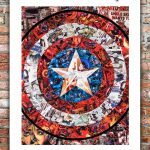 Tags: Comic, Comic Book Art, Hammer, Hero Collage, Limited Edition, Marvel, Pop Art, Poster, Thor.